Main Street ROI is a digital marketing agency based in New York City. Our mission is to help small businesses thrive. With our services and training, we help small businesses succeed with marketing regardless of their budgets. Since 2010, we’ve helped thousands of small businesses create profitable digital marketing campaigns. We’ll optimize your website to help increase your rankings in Google so more potential customers can find you. We’ll set up and manage your Facebook Ads campaigns to generate more leads and sales for your business. We’ll migrate your existing website to WordPress so it’s mobile-friendly and structured correctly for SEO. Our checklists, reports, and how-to guides will help you learn the basics to get your business started with digital marketing. We partner with other leaders in the industry to present free webinars to give you valuable, actionable advice about digital marketing. Our courses go deeper into various digital marketing topics to teach you proven, up-to-date tactics to grow your businesses. In-depth 4-week sessions that will teach you everything you need to know about SEO, AdWords, Google Analytics, and Email Marketing. We pride ourselves on our responsiveness. We’re available via email and phone so you can get answers to your questions. Unlike many agencies, we’re not a black box – we’re an open book. We provide detailed reporting on what we’re doing and the results you’re getting. 30,000+ small business owners and marketing consultants subscribe to our newsletter and hundreds attend our monthly training webinars. We use a proven, comprehensive process to ensure that your website and marketing campaigns are properly setup for optimal results. Main Street ROI produces results. Working with these guys has improved my business, and they have made it easy. They are a pleasure to work with, high communication, and have my best interest in mind. I highly recommend anyone running a small to medium company to connect with MSROI. They love what they do and they respond to email and phone calls promptly. If you hire them they will do all they can for you. Very responsive, very skilled at what they do. Highly recommended. 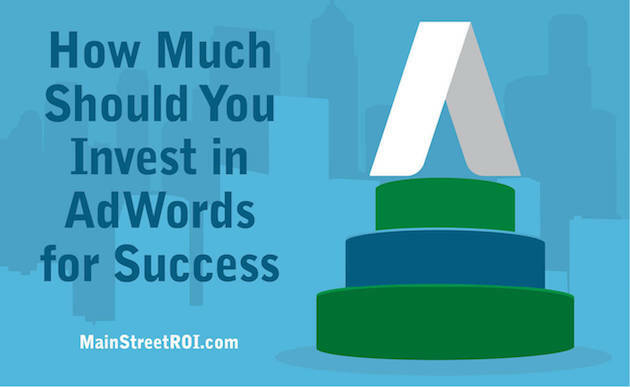 MSROI does a consistently awesome job with my Adwords Campaign with any budget. They are very easy to work with and always reachable to address my concerns. We are very impressed with Main Street ROI. They have been most professional and transparent in their approach. Choosing Main Street ROI for our SEO services has been a great experience. The Main Street team knows their stuff! As a small business owner, I would never be able to compete online without the intelligent suggestions and implementation I’ve received from Main Street. Very professional and personal service. It was a pleasure coordinating with Main Street ROI and seeing the positive results it brought to our marketing efforts. Phil is Founder and Chief Operations Officer of Main Street ROI. Phil leads the company’s operations and is primary creator of Main Street ROI’s training programs. Phil is an expert in online advertising, marketing analytics, and sales funnel optimization.